There are many ways to get involved in this important work. By partnering with the TGR Foundation, you are investing in a better future for our children. Under the supervision of the Earl Woods Scholar Program (EWSP) Senior Director, the Program Coordinator is an entry-level position responsible for assisting in the development of comprehensive services and activities. This position will work with young people and parents in an effort to motivate and develop the necessary skills to complete a program of secondary education and enroll in a post-secondary institution, and provide academic advisement and other services. We are currently looking for an Administrative Intern to join our team. This position is open to undergraduate college students. Candidates must be comfortable working in an office environment, have excellent oral and written communication skills, work efficiently under pressure, and balance multiple responsibilities while being organized. Looking for a detail oriented, highly motivated team player. 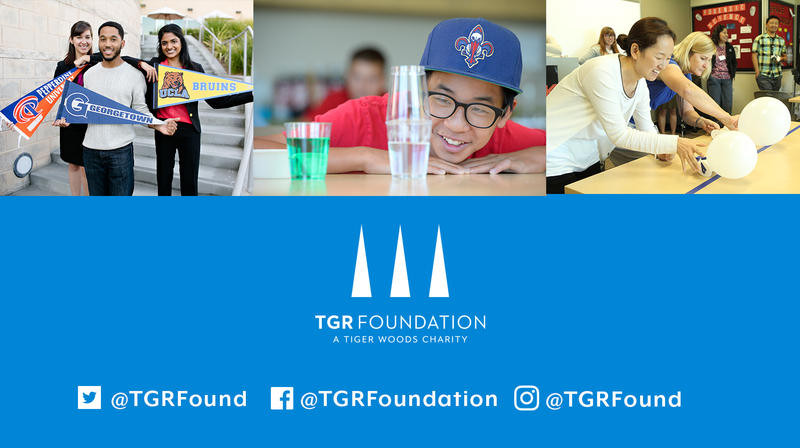 The Development Coordinator would be a member of the TGR Foundation’s Fund Development Department, assisting with the team’s efforts to raise funding from individuals, corporations and foundations. Learning from and working alongside two seasoned nonprofit fundraising professionals, the position is primarily responsible for managing department systems and operations, conducting prospect research, managing giving campaigns and assembling grant reports and communications. We are looking for a Digital Content Intern to assist in producing videos and social content that is dynamic and engaging for various digital channels. This position will primarily assist in the development and creation of videos and social content to promote the foundation’s events managed by TGR Live while supporting content creation for the foundation’s educational programs. The Digital Content Intern will work directly with the marketing department to support all external communications, including shooting video, editing, publishing and archiving various types of exciting digital content. Studies show students are five times more likely to graduate if they have a meaningful relationship with an adult. Our scholars often cite their mentoring relationship as the single most beneficial aspect of the Earl Woods Scholar Program. Invest in the success of a young person and enjoy one of the most rewarding endeavors of your life. Preparing our scholars for success beyond college is a primary goal of the Earl Woods Scholar Program. That’s why we partner with companies to provide each scholar with internships offering opportunities for career-building, networking and hands-on experience for future careers. If you are an advocate for education and enjoy investing in young people, consider volunteering at the TGR Learning Lab. There are a wide range of opportunities to work alongside and support our remarkable staff and students. For more information, please contact Hope Enyart. TGR Live hosts two PGA TOUR events annually which benefit TGR Foundation. The impact these events have on thousands of youth each year would not be possible without the dedication of thousands of volunteers. We are seeking volunteers for the Hero World Challenge in Albany, Bahamas. Join our team. TGR Live hosts two PGA TOUR events annually which benefit TGR Foundation. The impact these events have on thousands of youth each year would not be possible without the dedication of thousands of volunteers. We are seeking volunteers for the Genesis Open in Los Angeles 2019. Join our team.